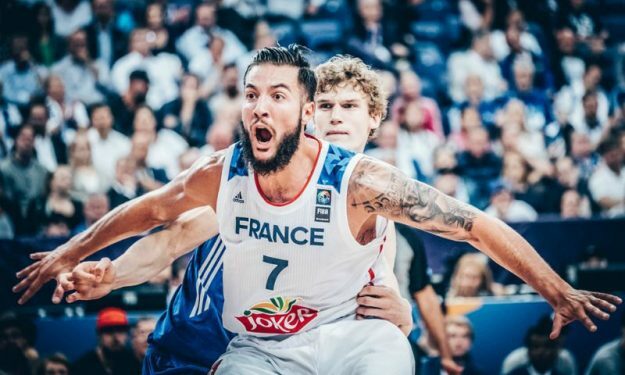 France will miss Joffrey Lauvergne in the 2019 FIBA World Cup. The 27-year-old big of Fenerbahce Beko declared his decision via Twitter. He avoided going into to details on why he preferred to sit out the upcoming World Cup, but did mention that he wishes his decision won’t negatively affect his relationship with the French National Team. “After five consecutive years with the French National Team, very good memories and good results the National Team can be proud of, one EuroBasket gold medal and one bronze, one bronze medal in the World Cup and a participation in the Olympic Games of Rio, I don’t want to participate in France’s campaign this summer for reasons that are my own and that I will not divulge” he wrote. Lauvergne added: “I hope to have the same understanding and kindness with regard to my decision as all those who made the same choice before me. I hope to keep a cordial and friendly relationship with the people with whom I spent five consecutive summers and with whom I had reciprocally experienced strong moments, having constituted some of the most impressive showings of French basketball”.